Smart investors and businesspeople are always looking for more information. Many of the most successful business owners and entrepreneurs swear by keeping up on the latest information with some reading routine. While there are some great personal finance and money books out there, keeping up with new insights, trends, and money news requires the latest reading material. 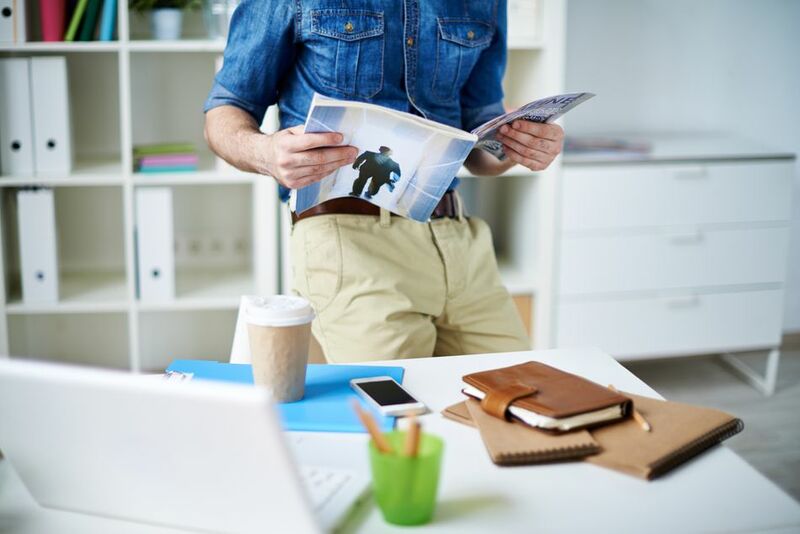 Money magazines are some of the best financial reading material available, so we've compiled the top 4 money magazines that every business person and investor should read. Money magazine covers investing and spending to help readers achieve the lifestyles they want. The magazine has historically placed great an emphasis on investing and stock and mutual fund picks with articles like "10 places to put $1,000" and the latest mutual fund ratings, but Money has continued to broaden its scope. Now with sections like Everyday Money, Retirement, Family Finance, and Careers, the magazine has something for everyone. Whether you are more interested in retirement planning, debt management, buying/leasing cars, or other financial topics, Money will have articles of interest to you. Of course, if you're looking to read about investing and the market, it's still one of the go-to magazines. In addition to being available as a mailed subscription or on newsstands, Money now publishes quite a bit of content on its website for the online reader. Kiplinger's Personal Finance magazine offers down-to-earth advice on managing your money and achieving financial security. It covers almost all personal finance topics under the sun ranging from saving and investing to credit and debt to home ownership, college, retirement planning, and even car buying. Like Money, Kiplinger's does place an emphasis on investing in the stock market, but true to its name, the magazine offers plenty of articles on other personal finance subjects, many of them short and to the point and very easy to read. Kiplinger's also has a strong internet presence with great online content. Kiplinger, the publisher of the well-known magazine named for its founder, is based out of Washinton, D.C. and has several other famous financial publications like The Kiplinger Letter, a weekly business and economic forecasting periodical geared toward readers in management. Though Forbes is perhaps best known for its famous lists and rankings of the wealthiest people and companies in the United States, it is also a great "money magazine" for the average reader interested in financial new and updates. But the publication is not limited to financial news. The magazine also reports of topics like business, technology, science, and law and the implications these sectors and industries have on the investment world. Forbes is also known for its focus on the entrepreneurs, new business technology, and even start-ups that are thought to have some impact on the future of our business culture. At the time of first publication of this list, SmartMoney magazine was the Wall Street Journal's personal business magazine. SmartMoney's target audience was generally professional and managerial business people looking for articles on the breadth of personal finance topics. The September 2012 was the last print edition of SmartMoney magazine when the publication decided to transition into an entirely digital publication, SmartMoney.com. Since that time, SmartMoney.com's content has been merged with the co-branded personal finance section of MarketWatch.com, which is still a powerhouse in financial publications. MarketWatch.com continues to offer the expert market analysis, investing strategies, and personal finance advice on topics such as retirement planning, car leasing, stock picking former SmartMoney readers came to expect from the publication and is still a part of the Wallstreet Journal Digital Network. In addition to its online content, MarketWatch also offers subscription products for investors, including the Hulbert Financial Digest suite of products, Retirement Weekly and ETF Trader.